The blend of an exclusive restaurant and a first-class bar is a perfect opportunity to celebrate the New Year’s Eve – only the UFO observation tower can guarantee you that. exclusive view of New Year’s Eve fireworks. Price 200 € / person, for reservations please contact the front-desk at reception@u-f-o.sk or call 00421 2 6252 0300. 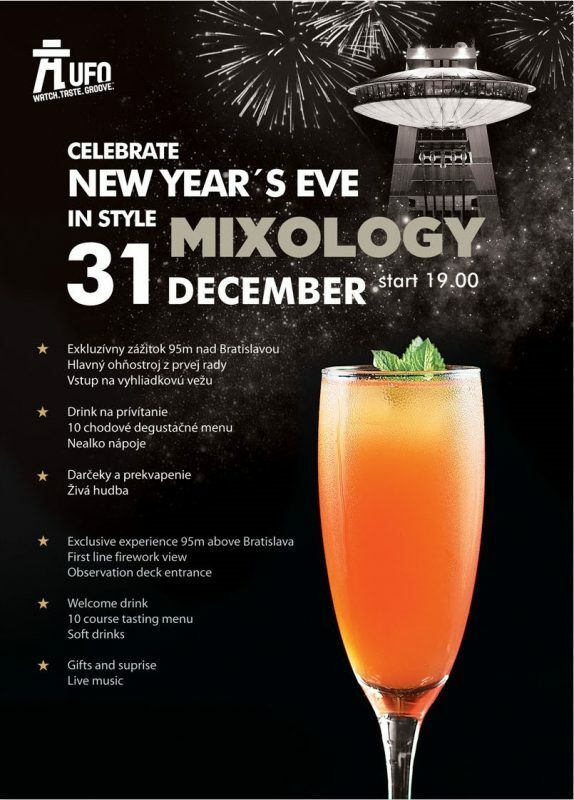 Come and enjoy an unforgettable Mixology-style evening you will remember forever!